Manchester United have uploaded a pretty cheeky Instagram post trolling Arsenal over Alexis Sanchez as he prepares to meet his old club for the first time since leaving. 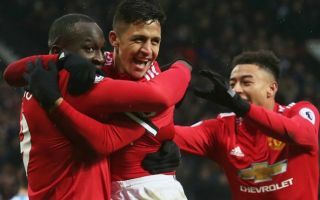 The Chile international sealed a controversial switch from Arsenal to United in January and will now be reunited with his former team-mates on the Old Trafford pitch when they meet in the Premier League this Sunday. This should be an intriguing meeting as Arsenal will no doubt want some form of revenge on the Red Devils for poaching another of their star players just a few years after Robin van Persie also swapped the Emirates Stadium for Old Trafford. It’ll also be Arsene Wenger’s final trip to United’s ground as Arsenal manager as he prepares to step down at the end of the season. While the Frenchman celebrated perhaps his finest hour when Arsenal won the title at Old Trafford in the 2001/02 season, it’s not been a particularly happy hunting ground for him since then, with just one league victory there since – all the way back in 2006/07. And now they’ll have Sanchez to contend with just as he starts to hit form for his new club.